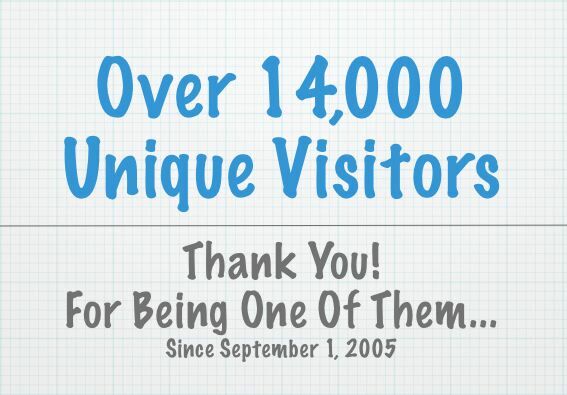 Today, DigElogROCORI had its 14,000th visitor view our on-line video magazine since September 1st, 2005. That's an average of 47 Unique Visitors each day for 296 consecutive days. Unique visitors are counted based on daily visits by unique individual computer IP addresses to www.DigElogROCORI.com. If one visitor views 4 or 5 DigElogROCORI stories, they are still counted as one (1) unique visitor. Tomorrow DigElogROCORI stories will be featured on the big screen at Lagoon Cinema in downtown Minneapolis. It's a part of the City Pages Documentary Film Festival going on from November 4th to November 10th. 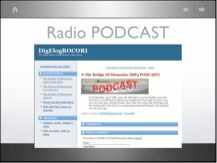 DigElogROCORI's editorial staff extends a big congratulations to Chuck for being chosen to be a part of the film festival and we are honored to be included in his favorite Minnesota stories. 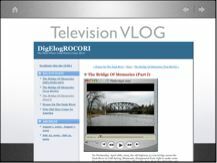 Yesterday, one of the DigElogROCORI cooperative Vlog (video log) sites called MN Stories, published their first DigElog ROCORI story. Together, we are actually a part of an informal Vlog network that covers not only the state, the Midwest, and the USA, but also the entire Internet world. 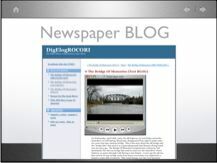 A daily video blog focused on what's going on in Minnesota. Stuff you won't see on TV. Looking for short videos from YOU! 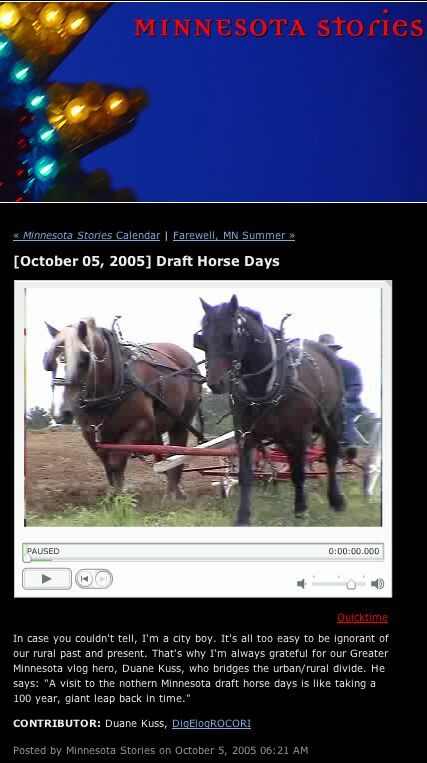 Minnesota Stories is an evolving showcase for local citizen media. There are so many stories in this state - personal stories, independent films and music, hyperlocal politics - yet they're rarely seen or heard. 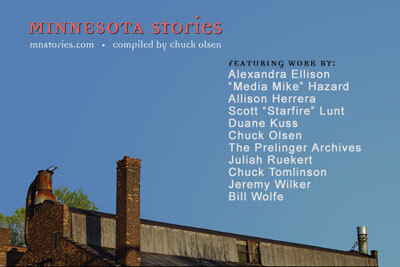 Minnesota Stories puts a spotlight on the little gems that fall through the cracks of broadcast media. If you have a story idea, send your story ideas to insight@uslink.net . Better yet, go film your own. What's happening in your backyard, your basement, your neighborhood, your cabin, your life? We want to know. Send us an email of what you have and we may feature your video. Sound is VERY important. If you're talking to someone, make sure the environment is quiet (if possible). Turn off fans and anything else that makes noise, if you can. Light is pretty important, too. Try to capture video that has enough light to be visible. If you're in a more controlled environment, turn on some lights. Night vision can work well for night shooting. Try holding the camera steady. Lean against something solid or put the camera against your chest. Tripods are great too, but they might weigh you down. Have fun! Turn the camera on yourself, show us your world. You have a voice - use it! Tell Them In A Parade!